Written by Band Boosters on February 10th, 2019 March 12th, 2019 . 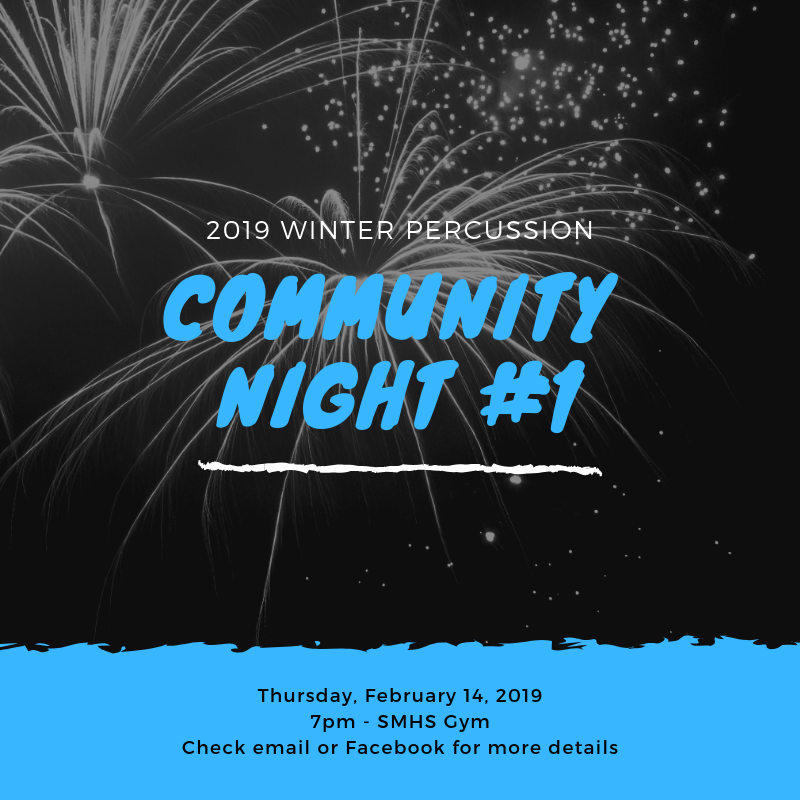 Join us for the first 2019 Winter Percussion Community Night! The student have been working hard and the show is coming together. With the first competition in just a few weeks, come out and get a sneak-peek of their fabulous show entitle ‘The Oasis’. Come out and support the students and learn more about the show.